Home Entertainment Movie After HUNGER GAMES, Josh Hutcherson Will Be Spider-Man, is that true? 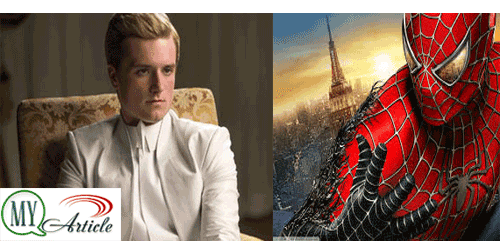 After HUNGER GAMES, Josh Hutcherson Will Be Spider-Man, is that true? After Spider-Man 'back' to Marvel, now that makes me curious who's the actor who will replace Andrew Garfield? Moreover, the plan Spider-Man Marvel's version will first appear in CAPTAIN AMERICA: CIVIL WAR, May next year. Five years ago, there was speculation about who the actor who plays the character of Peter Parker's worth and his alter ego. Now these names reappear for discussion. One is Josh Hutcherson. Because of this, Josh Hutcherson became the target of the interview and was asked what he would do if it can offer so Spider-Man. THE HUNGER GAMES actor admits there has been no offer, but it is not something that will be rejected. "Yes of course, I think to play it. This is Spider-Man, of course, would have been very cool. Until now there has been no discussion about this, but we do not know what will happen, right?" Josh replied when interviewed by Yahoo and reported by Cinemablend. Until now there has been no confirmation of who will portray the character of Spider-Man next. One thing is certain, selected actor will be younger than Andrew Garfield. Two previous name that was taken into account is Logan Lerman and Dylan O'Brien. Who do you think that deserve to be the next Spider-Man? Josh Hutcherson, Logan Lerman, or Dylan O Brien? Or may have another opinion?